Sometimes your child might not realize just how much he knows—and how much more there is to find out! In this worksheet your child will read a brief conversation about giraffes. Then he'll make note of what he learned from the exchange. He'll finish by finding out more about a topic of your choosing and share what he's discovered. This exercise will challenge your child's powers of recollection as well as his communication skills. 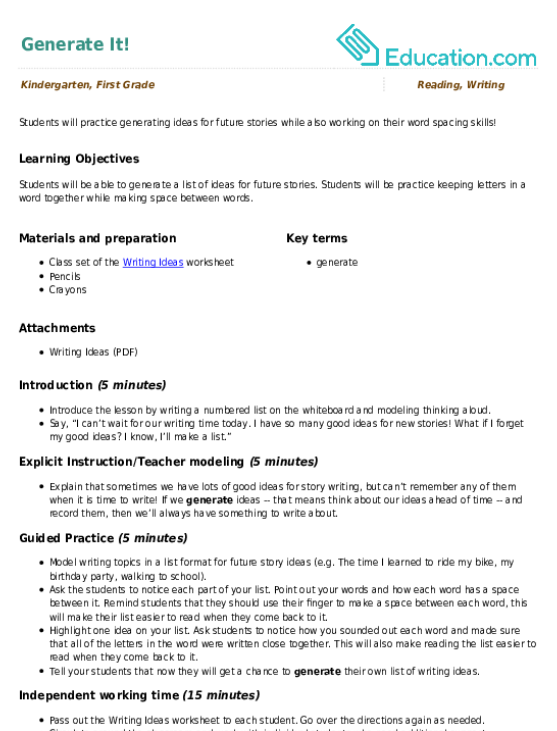 It also provides an introduction to the research process. What do your classmates think? Find out their favorites with this favorable opinion worksheet. Too often kids have trouble writing because they can't think of a place to start. 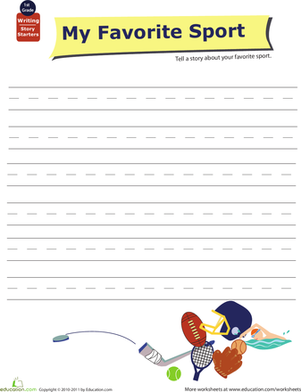 Here's a worksheet with a simple prompt that's guaranteed to kids writing. Here are a few fun things to help your first grader think about the spring season. What does he like to do? What do people wear in springtime? It’s fun to think about the future! In this activity, students write a persuasive paragraph about what they need to learn in order to make their dreams come true. Use this handy notetaker to help students record and think through the new information they are gathering.